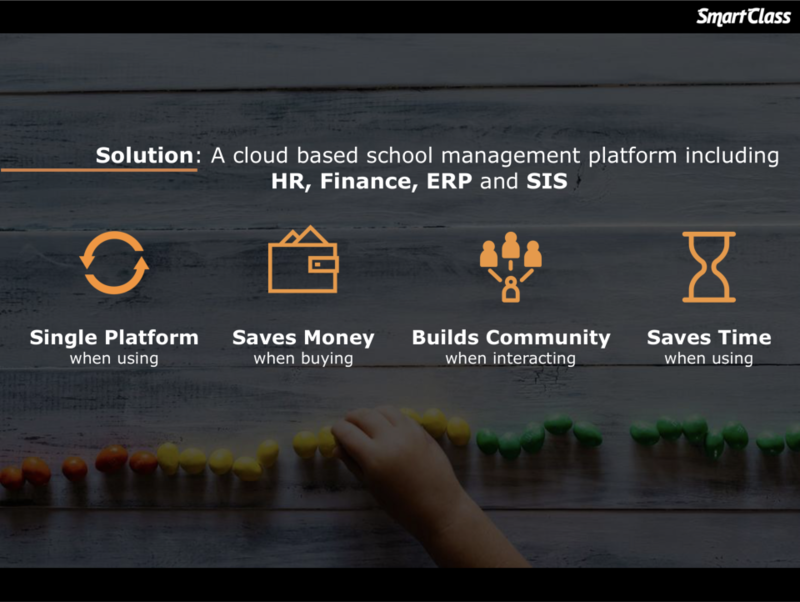 SmartClass is the largest K-12 module based innovator with over 250+ modules and 250.000 users worldwide for school management. 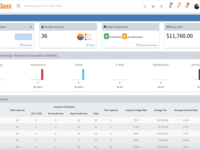 We digitize schools with remarkable speeds and fraction of the cost. 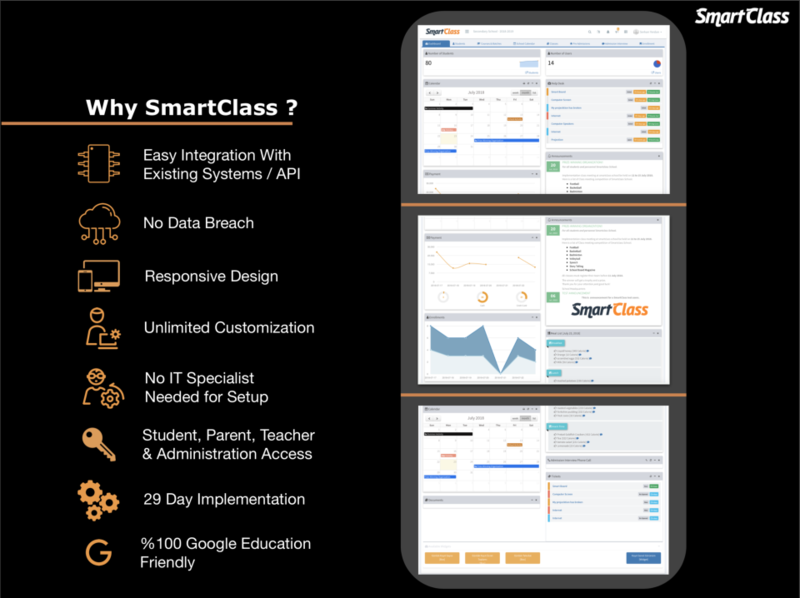 SmartClass brings reliability to every corner of the schools with 20+ years of experience. 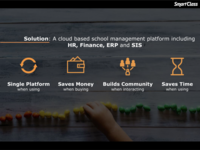 On average, we save schools approximately 33% on operating costs and approximately 50% on administrative costs, and achieve 67% more accurate interactions with parents, while reducing workloads by 50% or more. Pros: When school publishes a homework, late attendance or an exam result that requires my attention, it's easy and fast for me to handle the request. Cons: Sometimes, I experience hard time finding the right module. 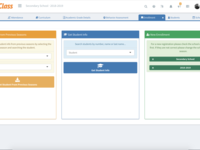 Overall: It gives me more knowladge on my child with multiple tools and modules and it educates me instantly as a parent that creates ease of mind. Pros: - I can reach everything with One Click. 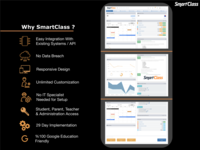 Overall: SmartClass is a successful software which is easy to develop. Pros: Every single day, the software is getting better. 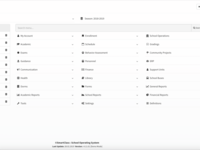 Lots of new features. Cons: This software should be further developed and further modularized. Cons: No disadvantages or problems occured. 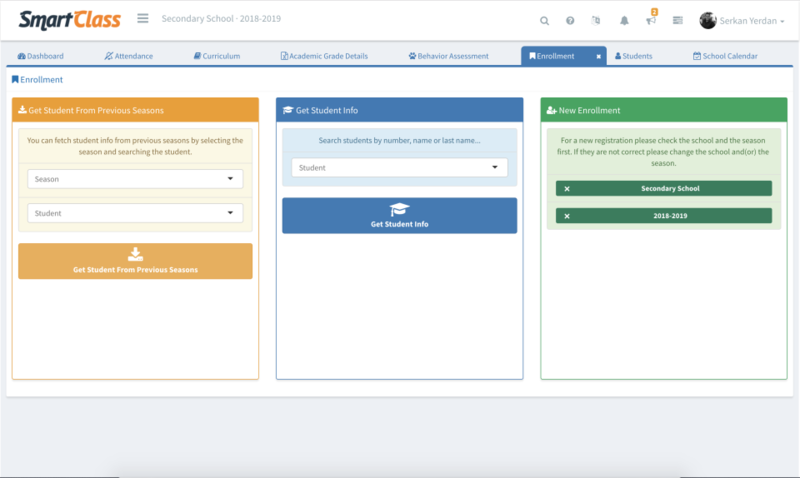 Pros: This software is a complete one stop shop that has all the features needed for a school management system. Cons: I haven't had any issues with it, nothing bad to say.